Track and field competed in the NJSIAA South Non-Public B Sectional this weekend, with five athletes qualifying for the State Group Championships. Junior CJ Licata qualified in the shot put and discus, winning the shot put with a personal best of 61' 8.5" and placing second (165' 08") in the discus. Senior Erica Phiansunthon qualified for the shot put (31' 5") with a fourth-place finish. Junior Nicole Johnson qualified in the 400m and 800m, winning the 800m with a personal best of 2:22. Senior Matt Petit qualified in the 800m, 1600m and the 3200, taking second place in the 800m with a personal best of 2:01. Junior Bobby D'Angelo's second-place finish in the 3200m qualified him for that event as well. 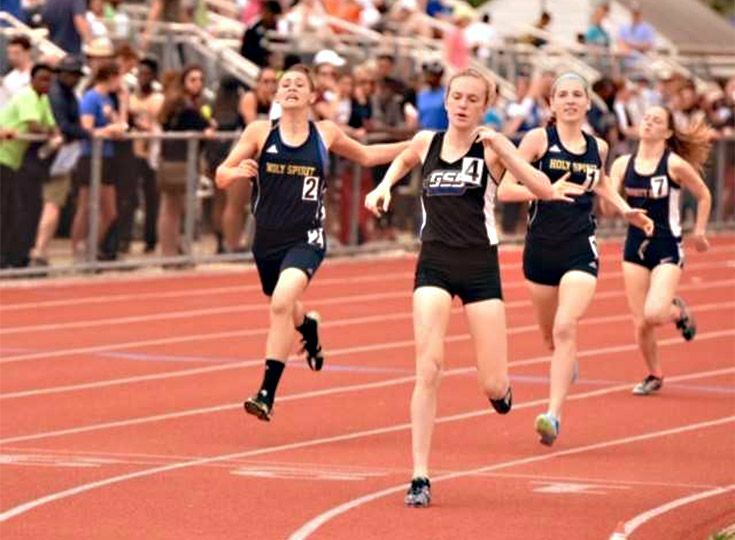 The Group Championships will be held on June 2-3 at North Burlington County Regional High School. On Friday, baseball clinched a share of the Skyland Conference Mountain Division title with a 4-2 win over Belvidere High. A single from senior Cameron Gateman and a sacrifice bunt from senior Jack McMahon and a RBI base hit from junior Joe Johnson provided a critical run in the fifth to lead the Knights to their third consecutive division title. Sophomore A.J. Donofrio drove in two runs and junior Ryan Morash scored twice as the Knights finished their season with a record 14-10. Freshman pitcher Jack Petraitis (7-1) tossed a complete game six-hitter and struck out six. After a 1-0 quarterfinal win against Our Lady of Mercy on Friday, softball heads to Wildwood Catholic for the South Jersey Non-Public B semifinals today. In Friday's win, Senior Maddy Bedrock pitched a four-hit shutout, recording eight strike outs. In the first inning, junior Claire Chestnutt had a clutch hit to score Bedrock, which turned out to be the only run of the game.